Whether you're a creative looking to showcase your work online, a professional interested in expanding your web presence or a small business looking to expand into e-commerce, building your own website has never been easier. No need to worry if you don't know how to code as you can still create a stylish and responsive site using pre-made templates and assets. The cloud-based website builder Wix has more than 100 millions of users worldwide and provides all the tools you'll need to create a beautiful and professional web presence for yourself or your business. The company's website builder includes everything you need to create a fully personalised and high-quality website for free. If you've tried out Wix and enjoyed using the service or just want the most the platform has to offer, then you're in luck as the company is currently offering a 50 per cent discount on its premium plans when you upgrade today. Premium users get access to unlimited bandwidth, cloud storage and even more features. Get Wix eCommerce for as little as £5.05 or Wix Unlimited for £3.88 when you buy yearly subscriptions, saving more than £60 per year. The offer ends tomorrow 5/24 at 7am UTC. Wix's Unlimited plan is a great choice for entrepreneurs and freelancers as it provides users with unlimited bandwidth, 10GB of storage, a free domain, as well as its Site Booster and Form Builder apps for just $7 (£3.88) a month. If you're trying to take your small business to the next level, then Wix's eCommerce plan has you covered with unlimited bandwidth, 20GB of storage, a free domain, an online store and more for only $8.50 (£5.05) a month. 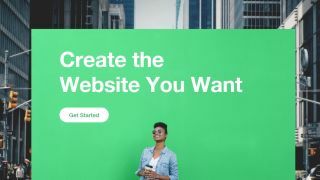 Additionally all of Wix's Premium Plans include free domain, domain connection, Google Analytics, Premium Support and no set-up fee so that you can have your site up and running in no time.